I love to snack. I'm constantly munching on something throughout the day. My favorite kinds of snacks are portable and easy to eat. The best kind of snacks for me are ones that I can just reach into the bag or box with one hand and pop into my mouth, without even having to look at it! Recently, I had the chance to try Harvest Snaps Snapea Crisps. I've seen them in stores, but have never tried them out. 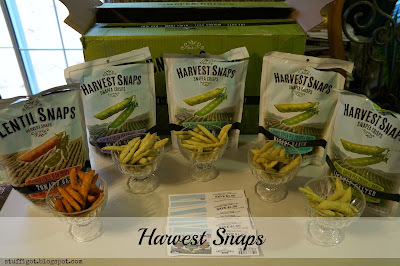 Harvest Snaps are crispy, pea-shaped snacks that come in a variety of flavors. I think I had only seen the Wasabi in the stores before and was turned off by that. So, it was nice to see that there were a lot of other different flavors. There's also a new Black Bean variety coming soon in Habanero and Mango Chile Lime flavors! 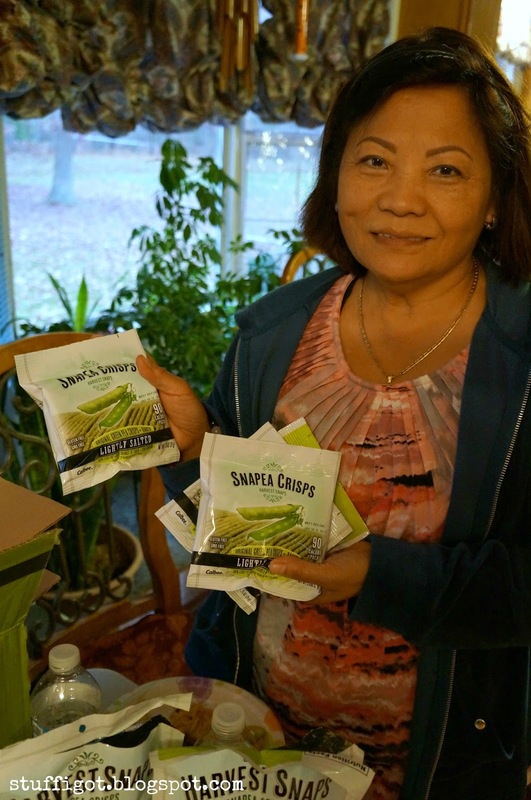 Harvest Snaps are baked and minimally processed. They're gluten-free and are low in calories and high in protein. At our sampling, a few guests had tried Harvest Snaps before. But, they weren't aware of all the different flavors that it came in. Others, like myself, had never tried them before. 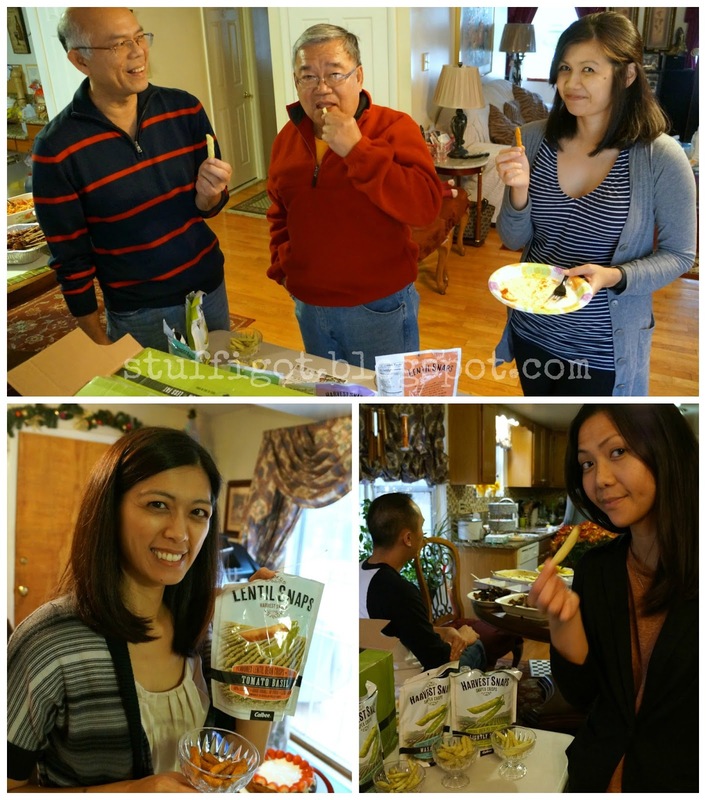 The overwhelming favorite was the Lentil Bean Tomato Basil flavor. 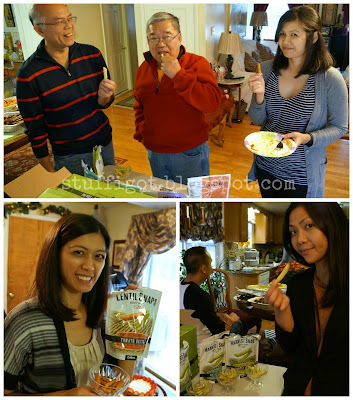 Of the Snapea Crisps flavors, everyone liked the Black Pepper flavor the best. 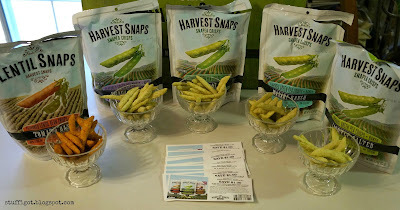 Everyone appreciated the samples of Harvest Snaps and coupons to take home. Have you tried Harvest Snaps?